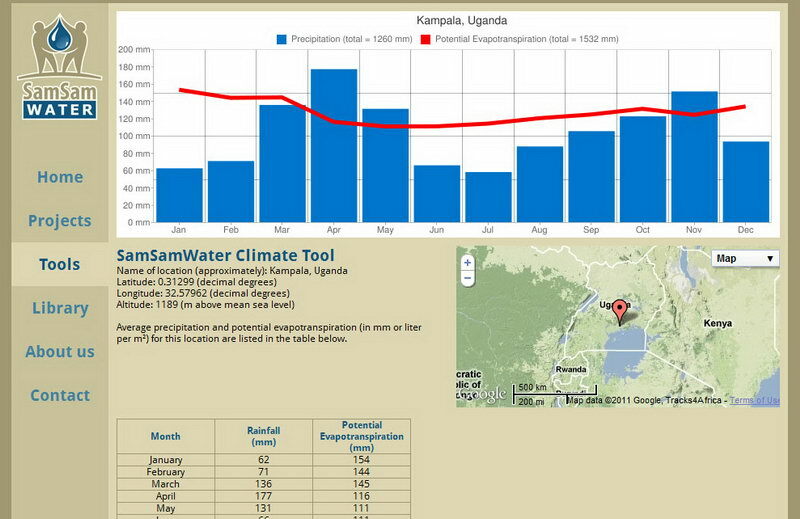 SamSamWater Climate Tool fully functional again! Using the SamSamWater Climate Tool it is possible to determine climatic conditions (precipication and evaporation) for any location on earth. Last year the tool has been used over 58,000 times worldwide. The climate data were extracted from a UN FAO server. Due to a server error, the tool has been dysfunctional for a number of months. But we are glad to announce the tool is fully functional again! We use a different source for the climatic data (CRU CL 2.0), that’s why there might be a (limited) difference in the results compared to the old tool. The use of the tool is very straightforward: select a location on the map, click ‘OK and you will see a chart and table with the average monthly precipitation and evaporation for that location. The Charity Fund of ING employees support SamSamWater with a donation of 1000 euros! SamSamWater volunteer Dominique Woltheus works at ING and has supported this request. We are delighted with this donation and would like to thank all ING employees!